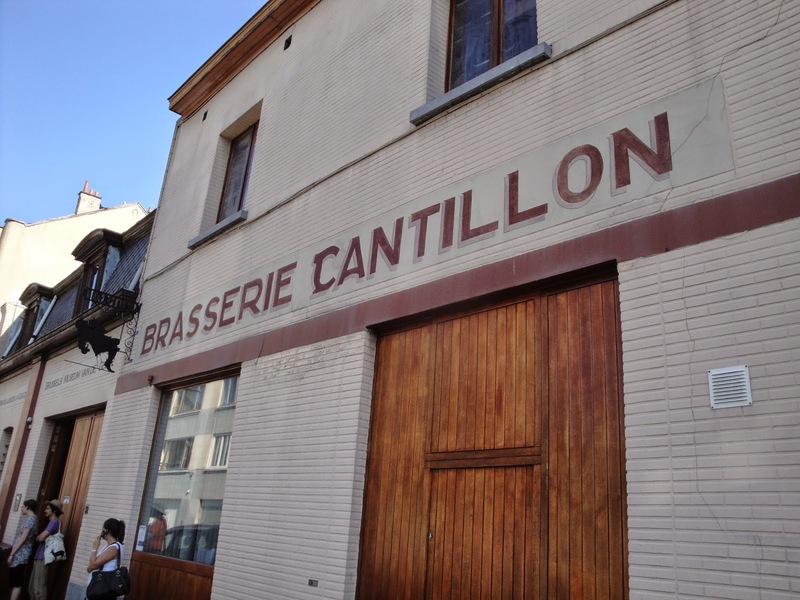 Many international publications announced Sour Beer among their trends for 2014. The sour flavor is not welcome in most types of foods and beverages, but in beer, when well mixed, it can be the distinguishing feature. Even though the term “sourbeer” sounds strange at first, there are some very interesting f lavors to be discovered in these labels. These beverages embody taste references that are centuriesold. Today, current producers are using new techniques to improve and balance the tastes of classic styles and occasionally even develop new possibilities. When it comes to beer, sour notes can come from several sources. Of course a defective and spoiled production can have these f lavors, but here we want to address those that intentionally offer these characteristics. A wide variety of bacteria can add sour tones to beer. Fruit and spices are also capable of bringing sour notes and acidity as well. Our taste buds perceive sour notes through the intensity of the sourness, associated with the characteristic flavor. These feelings can range from vinegar notes, lactic acid, just sourness, among others, based on the levels of sourness, flavors and aromas. The primary sources of sourness are usually related to Lactobacillus and Pediococcus bacteria, both of which produce lactic acid, and the Acetobacter bacteria, which produce acetic acid (vinegar). Both acids can interact with alcohol, producing esters. When well combined, all these elements can give beer a great complexity of f lavors and aromas. Beer yeast (Saccharomyces cerevisiae) was isolated only after the year 1800, enabling brewers to use only pure strains of leaven. By that time, they also discovered Brettanomyces – also known as Brett in the brewing industry – which is usually related to unwanted f lavors and aromas, both in beers and in wines. The description of its sensations leaves no room for doubt: horse blanket, animal sweat and barns, only to mention a few of them. Fans of Lambic beer recognize these taste sensations as qualities for the style, as long as they are well mixed in. And they come precisely from Brettanomyces, since beers undergo a peculiar process of “spontaneous fermentation”, where there is no addition of yeast to the mash to promote fermentation. It is the wild yeast found in the air that does this job. During this process, when beer ages in wooden barrels for a long time, Brett works, adding many of its characteristics to the beer.The Lambic style, which is only produced in the region around Brussels, is considered the oldest style in Belgium. For many centuries, breweries used wooden barrels to ferment, age and store their beer. Since wood cannot be easily sanitized, it is home to a number of microorganisms in its porous surface. This inevitably brings unpleasant notes to the beer. Brettanomyces is a classic found in these barrels. However, many brewers also see qualities in the use of wooden barrels in their production. If well controlled, fermentation in wooden barrels can produce Brett in interesting ways. 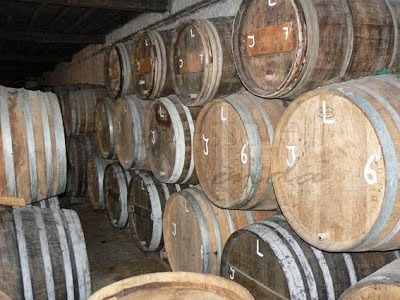 Oak, for example, adds vanilla notes to the liquid, whereas barrels previously filled with other beverages, such as wine, cognac and whisky, can also add their flavors to the beer. After the viable yeasts were isolated and pasteurization was invented, the end of sour beer seemed to be near. But was this characteristic completely undesirable? Styles such as Lambic, for example, heavily depend on sour and acetic notes in order to be loyal to their origin. In spite of not knowing microbiology, brewers came up with techniques to soften unpleasant tastes in their beers. As a matter of fact, they occasionally took advantage of these tastes, adding f lavor notes that are recognized and desired until today, even without using bacteria. The region of West Flanders, in Belgium, also has its “sour” style known worldwide. The Rodenbach brewery produces Sour Ales that are acknowledged and awarded all over the world until today. According to Peter Bouckaert, who worked at Rodenbach and today is a master brewer at American brewer New Belgium, Eugene Rodenbach, founder of Rodenbach brewery, brought the Porter production technique from England to create his own beer. In East Flanders, in turn, sour beers are known as Oud Bruin. Based on Brown ale, they have notes of lactic acid and sourness, combined with dry fruit, caramel and toffee. The best known of them is Liefmans. the final composition of a Witbier. Whether this is true or not, this is where the beer’s citric, spicy and sour notes might come from. Germany also has its sour beers. 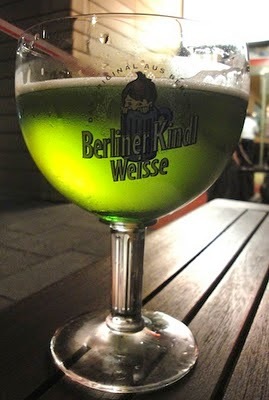 In Berlin, there is a style made with wheat and lactic fermentation known as Berliner Weisse, which Napoleon Bonaparte dubbed the “champagne of the north”. Today it is served plain or with fruit syrups that soften its sourness. The Gose style, in turn, was created in the small town of Goslar. In addition to its lactic notes, it contains a peculiar ingredient: table salt. Even though the style comes from Goslar, it became famous in Leipzig. And is conquering fans all around, just like Sour Beers. Article of my own, originally published in the magazine "Mesa Tendencias" 4 edition. Personnel file photos.